Magic Signs & Print is your number one source for signs and printing in the Louisville, KY area. They offer services to advertise and grow your business, from storefront signs and vehicle graphics, to brochures and business cards. 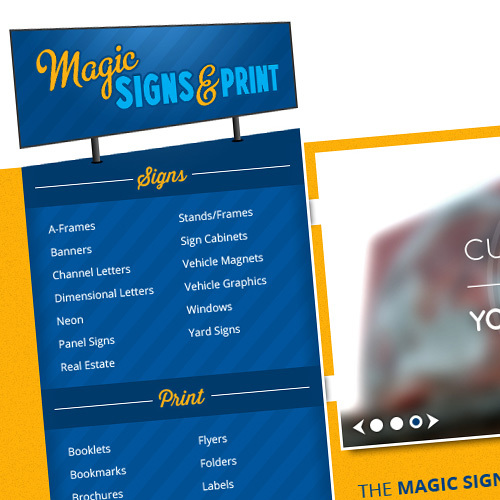 Think Webstore created the website for Magic Signs.